to bitsdiaries@live.com subject to "WIN Giveaway #4". *Winners who fail to respond within the next 3 days will be forfeited. New winner will be drawn. end on 27th November 2012, SGT 11:00PM. I just wanna let you know that I nominated you for The Versatile Blogger Award. P.S. I definitely gonna send you email! Thanks for this giveaway! 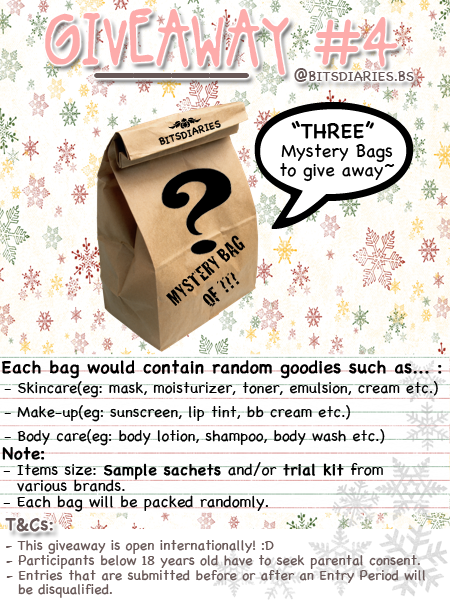 Love the idea of this giveaway. Entered! !